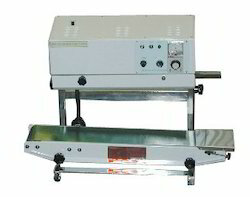 - Continuous band sealer can seal plastic films made from various materials continuously. - There are two models, including horizontal , vertical model. 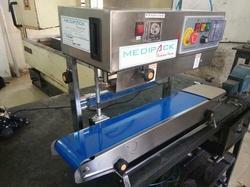 We are successfully engaged in offering a commendable array of Band Sealing Machine. Customers can purchase the offered range from us in varied customized options at competitive prices. Horizontal band sealers manufactured by Raj Engineers are highly efficient and used for sealing numerous varieties of products. Valued as a reliable and trustworthy company, we are engaged in offering top quality of Band Sealing Machine to our valuable clientele. Backed by a rich industrial experience, we are engaged in bringing forth a comprehensive variety of Band Sealing Machine.